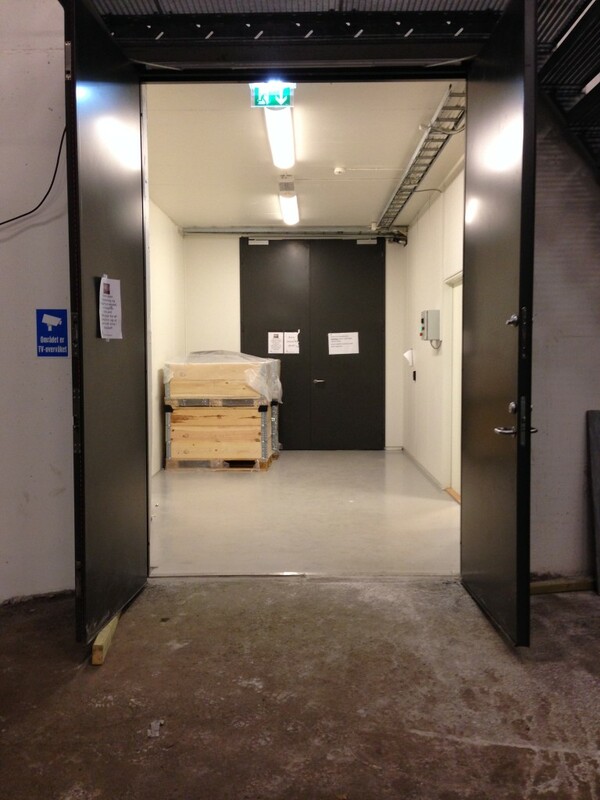 The new central storage facility is clean and free of pests. 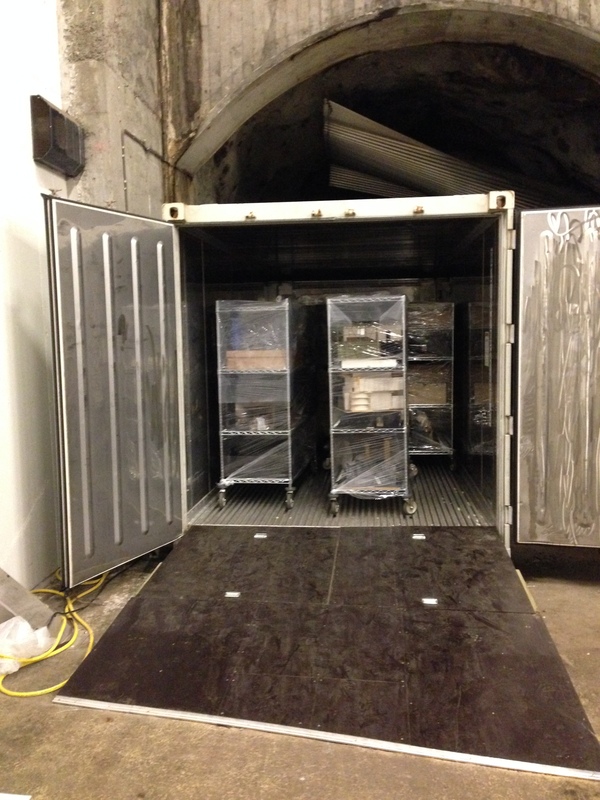 To keep it that way, we have to make sure that there are no living pests in the objects we move into the new storage. Pest removal or sanitation can be done in several ways, as was mentioned in a previous post Danger! Danger! Insects!. However, here at the moving project we freeze everything, for the most part, before it goes into the storage. Mr Freeze and the ramp in front when he is closed. 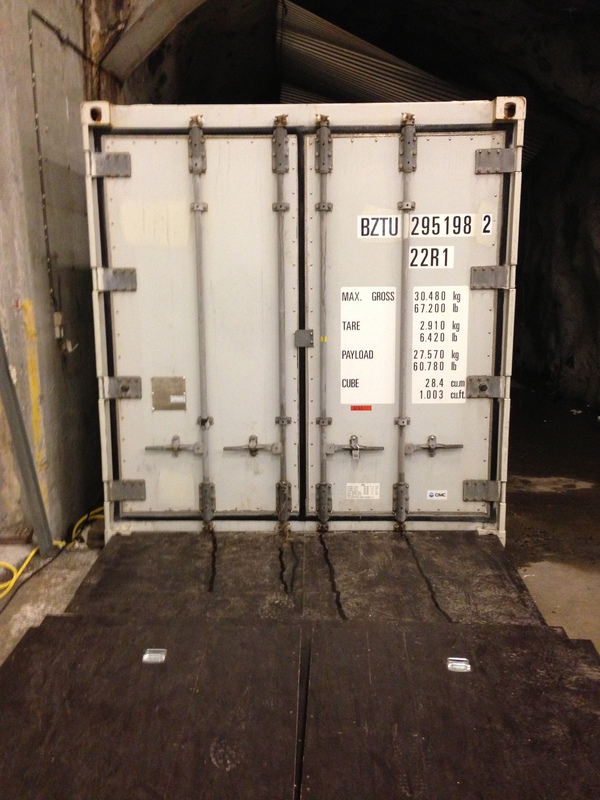 We have installed a freezing container close to the new storage so that things can be moved into the freezer and then directly into storage. 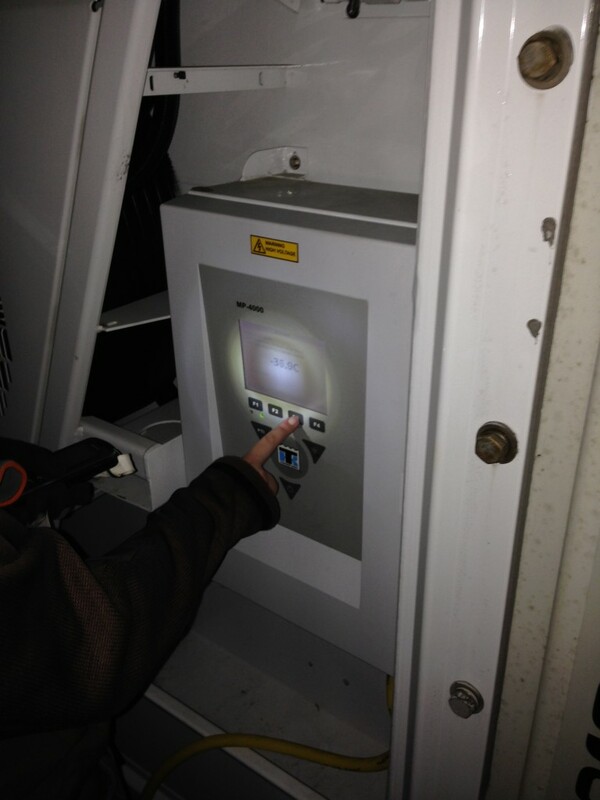 Freezing can be done in a number of ways (variables usually being temperature and time). We freeze objects at minus 40 degrees for 6 days. 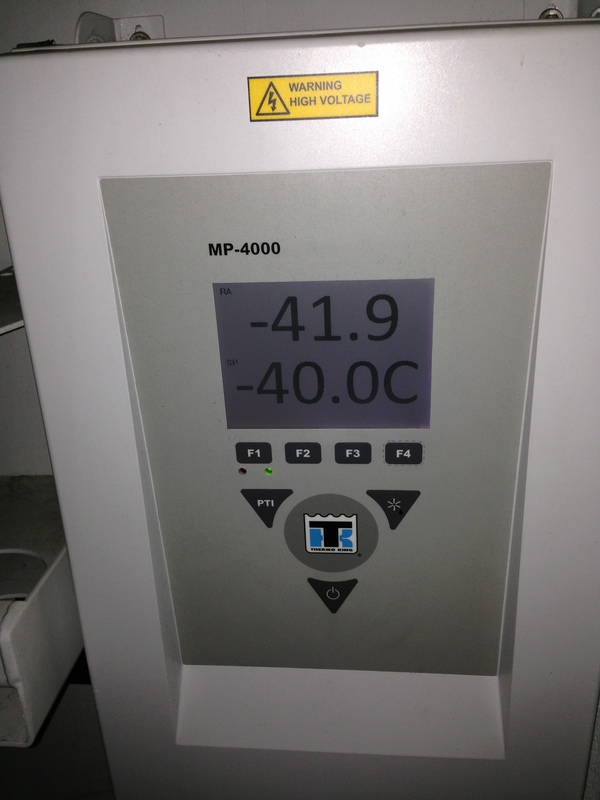 Our freezing container has been equipped with climate controls to regulate the relative humidity in the freezer. This is to avoid condensation forming on the objects and to minimize the packing of objects in plastic. This is important since water is harmful for many types of objects e.g. paper and wood, and when packed individually, we handle the objects more and increase the risk of damages. Furthermore, it saves time not packing everything. Mr Freeze is emptied on moving day. The objects from the freezer are put in the front room of the storage. 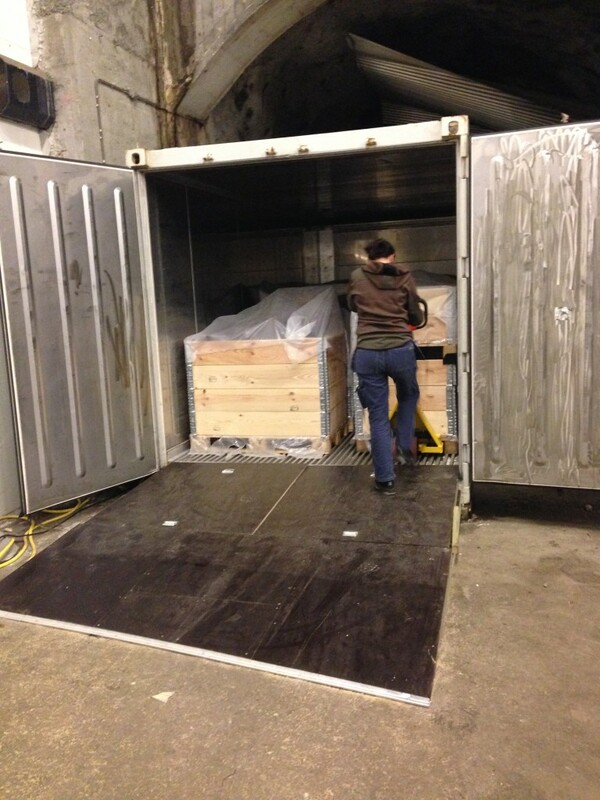 They are free of living pests and from here they can be moved into storage, ready to be put on the shelves! New objects are moved into Mr Freeze. 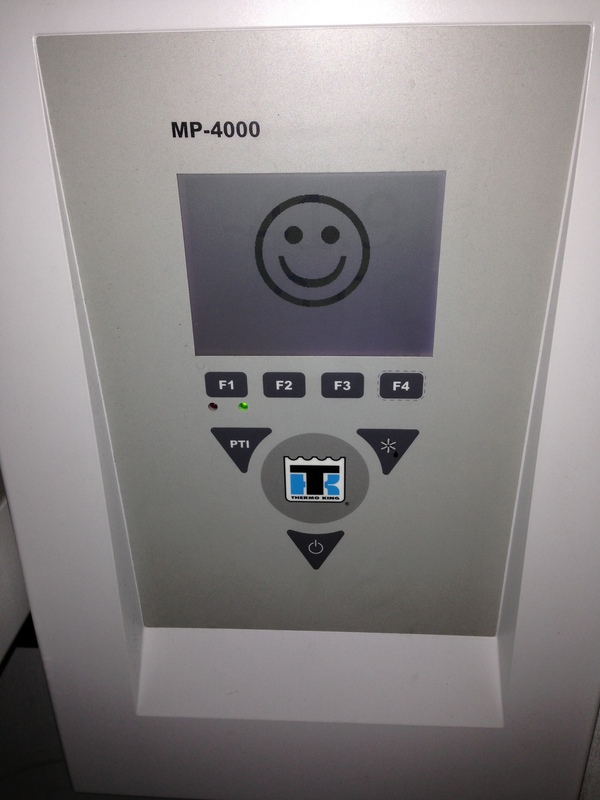 Mr Freeze is turned back on at -40 degrees C.
…and when all is well Mr Freeze smiles at you!